One of the hardest things I have struggled with has been the ability to keep up with the sheer amount of reading I need to do, given the broad variety of topics I study. But I do consistently make time to read, particularly because I integrate reading into my academic writing, otherwise I would need to read in bulk. I do have a couple of strategies to keep up with my reading while on a teaching semester. As I’ve said before, it’s important to be strategic with your readings. You don’t need to Read Absolutely and Entirely All The Things (not in depth, that’s what I mean, unless you’re writing your comprehensive exams for your doctorate, and even then!). But the trick I think to staying on top of reading is being systematic about it, and having a process. Here is mine. 1. I craft a syllabus with things I want to learn. This forces me to read and stay on top of the most recent scholarship. Plus, it enables me to revise my syllabi and do an intersectionality test and check whether I have included works by women, minorities, scholars of color, etc. In a previous blog post, I called this process the “answer seeking method“. In previous years, I designed my syllabi to answer questions. Once I knew what I wanted to teach, I then revised them to tell a good story. Given that I had been away for a while from teaching public policy courses per se (e.g. public policy analysis, design, implementation, evaluation), I needed to craft syllabi that would push me to learn new stuff, and check the latest literature on a particular policy field. 2. I book time for reading, every day. And I don’t let anyone interrupt that time. As you may remember, I am a very vocal and ardent advocate of establishing healthy boundaries and protecting my time. Though I’m past my 3 year reappointment, the fact that I’m untenured means I need to be very strategic with what I do and how I use my time. Thus, I have made a commitment with myself to book time for reading, Every Single Day. This may sound counter-productive if you want to actually write (aka produce generative text), but I always have to allocate at least 30 minutes to an hour per day for reading. Otherwise I feel like I fall behind on the literature, which I really can’t afford. Obviously, there are a lot of things we need to read, but putting time into keeping up with the scholarship is one of those things I can’t just let slip away. 3. I organize my reading per day, per topic (i.e. per paper I’m writing) and per my collaborators. That way, what I am supposed to know is fresh in my mind and ready for conversations. For example, this semester my coauthor and good friend Dr. Oriol Mirosa teaches on Tuesdays and Thursdays, whereas I teach Mondays and Wednesdays. This means that it’s usually Fridays when we have the time to engage in research meetings (thank you FaceTime!). 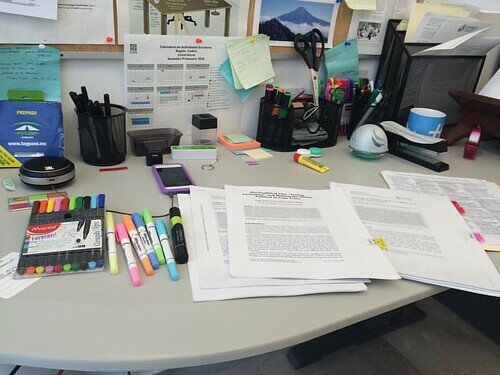 To make sure I’ve got enough time to read (either stuff my coauthors send me or stuff I want to share with them), I usually organize my reading per day and per paper. So, you’ll probably see me reading stuff on the human right to water on Thursdays, so it’s fresh in my mind for my meetings with Oriol which usually take place on the Fridays. With my coauthor and also good friend Dr. Kate Parizeau, with whom I am coauthoring a couple of papers on the governance of informal waste picking, her heavy teaching day was usually Wednesday, so we met on Tuesdays or Thursdays. That meant that I needed to be ready, so I booked time to read well in advance. 4. I ensure that every printed piece receives some kind of treatment (processing). I’ve written before about how important it is to process every single piece of work, without falling into what Professor Pat Thomson calls the “PDF alibi” (which means, downloading PDFs of articles “to read later”). I have managed to always systematically process every single piece of paper, or document, or electronic file. Some people call this the “Touch It Once” rule (e.g. once a piece of paper, email or file lands on your Inbox tray, you should process it but only ONCE). The problem we have in academia is that we often need come back and can’t follow the “Touch It Once” rule. For me, touching a PDF or piece of paper ONCE means, reading it right there and then. 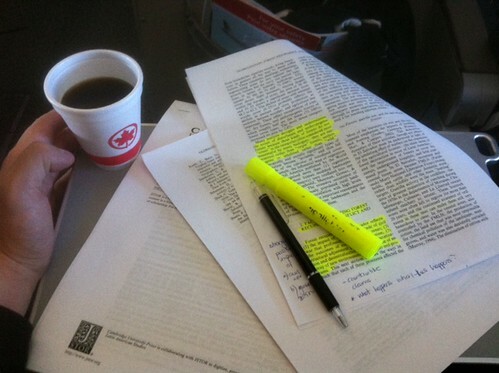 Even if it is a quick skim (which is rare for me because I read really fast), I already have looked at the main ideas in the paper, and know if I need to do a rhetorical precis, if I will write a detailed memorandum, or if I need to come back and read it armed with coloured highlighters and pens. So my “some kind of processing” rule is “at the very least, skim the damn document“. Obviously, this approach risks that you may end up with a huge pile of “Papers I Should Be Memo-ing”. It’s happened to me before and I’m not immune to this. 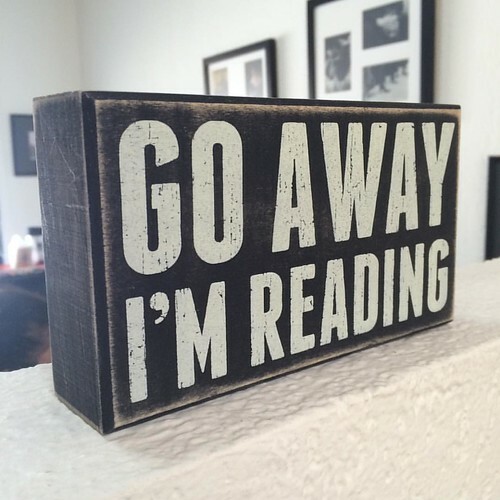 When this happens, I go back to Item 2 (Book Time To Read and Avoid Interruptions At All Cost). 5. I break down the amount of reading per piece of work (e.g. one chapter, one article). For example, there are entire books I want to read. But if I can’t read the book in one sitting, I make sure to schedule a couple of chapters for a 30 minutes reading session, or 4 articles for a 1 hour session. 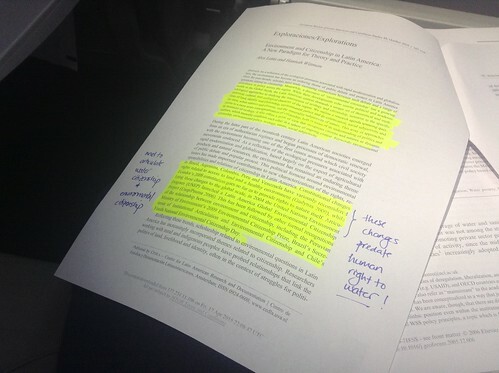 If I can’t scribble and highlight on all four, I write a rhetorical precis, with an instruction to myself to “memo” the paper (e.g. write a full-blown memorandum). 6. I read when I travel, or during “idle times”. This includes commuting by bus, inter-urban bus, or airplanes. Most of the reading I do is during what people call “idle time”. Not leisure time, but idle time. For example, I sometimes decide not to drive from Aguascalientes to the city where my parents live. As a result, I take the bus. Thus, I bring along reading material for me. Reading on an inter-urban bus, or on the metro (subway) or on a plane doesn’t make me dizzy, so this only works if this is the case for you too. 7. I take breaks from reading (I take regular breaks overall). Sometimes, I think we feel overwhelmed by the sheer amount of reading we need to do, and thus we experience what we could call “Readers’ Block” (a la Writers’ Block). When this happens to me (usually when I am doing a literature review and I am feeling overwhelmed already by the sheer amount of reading I have to do), I take a break. I check my Twitter, Facebook, go for a walk, meet up with friends. I leave the reading pile behind and take it from where I left once I am feeling less tired and overwhelmed. 8. I switch it up and vary the type of reading on a daily basis. Until I had graduate students of my own, I hadn’t realized how much time we (professors) need to spend reading and providing detailed feedback. This was very common when I was doing my PhD and when I taught undergraduates (I still teach undergrads), but became more painfully perceptible when I started helping students supervised by other professors. I am a pretty involved committee member, and I recently realized that I was spending a lot of time reading the stuff that other supervisors were letting go unchecked. 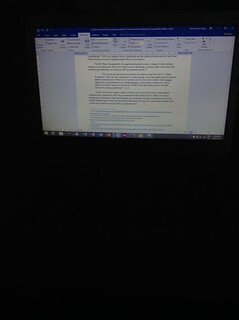 Nevertheless, since it’s my job to help the student, I read their stuff at whichever stage it is. And so when I am feeling overwhelmed with the type or amount of work I am reading, I switch it up. If I am not feeling up to reading an entire PhD dissertation in one sitting, I read a few pages per day. Same with book manuscripts I’m often sent for peer-review. So, hopefully these eight strategies will be useful to you all when you have a heavy-teaching semester. Tagged with organization, productivity, reading, research, teaching.